Spirituality has ancient roots. 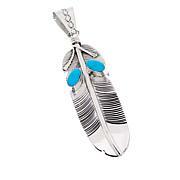 The Zuni tribe is devoted to its craft, even in modern times. That's no coincidence. 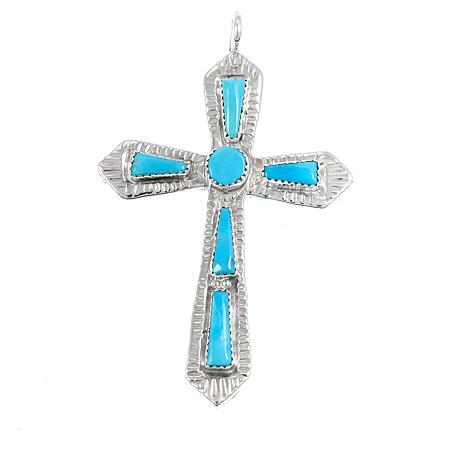 Fate and faith collide beautifully when it comes to this cross design pendant. 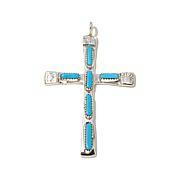 I recently purchased this cross and absolutely love it. I wear it on a liquid silver necklace and it looks beautiful. It is one of my favorite Chaco Canyon pieces. Do not hesitate on buying this. 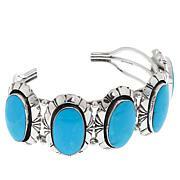 The turquoise is beautiful and the artisan's work is magnificent.